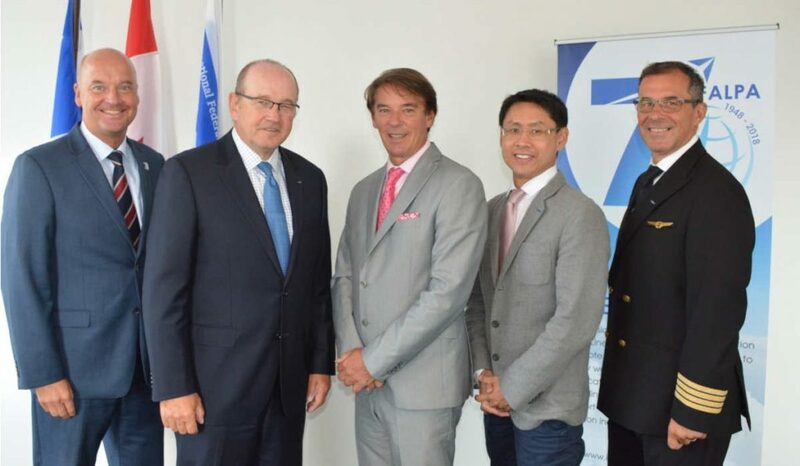 The International Federation of Air Line Pilots’ Associations (IFALPA), representing some 100,000 pilots worldwide, signed a strategic partnership with Tourisme Montréal, confirming that it will host three IFALPA Conferences – in 2023, 2028 and 2033 – in the city. The agreement will see more than 1,500 representatives will converge upon Montréal over the next 15 years. With this decision in its 70th anniversary year, Tourisme Montréal explains IFALPA is setting a milestone in its engagement with the civil aviation community of Greater Montréal. IFALPA moved its headquarters from the UK to Montréal about six years ago, to be closer to the International Civil Aviation Organization (ICAO), among other key aviation stakeholders. “While many international organizations think about what legacy to leave with their major events rotating annually around the globe, this agreement allows us to establish a permanent footprint in the city known as the world capital of civil aviation,” stated IFALPA president, Captain Ron Abel. An international non-profit organization, IFALPA member associations represent more than 100,000 pilots in nearly 100 countries. “We are very proud to have the privilege of hosting this prestigious event on three occasions. We look forward to forging ties with the IFALPA and to offering their attendees unforgettable experiences in our city,” said Yves Lalumière, president and CEO of Tourisme Montréal.